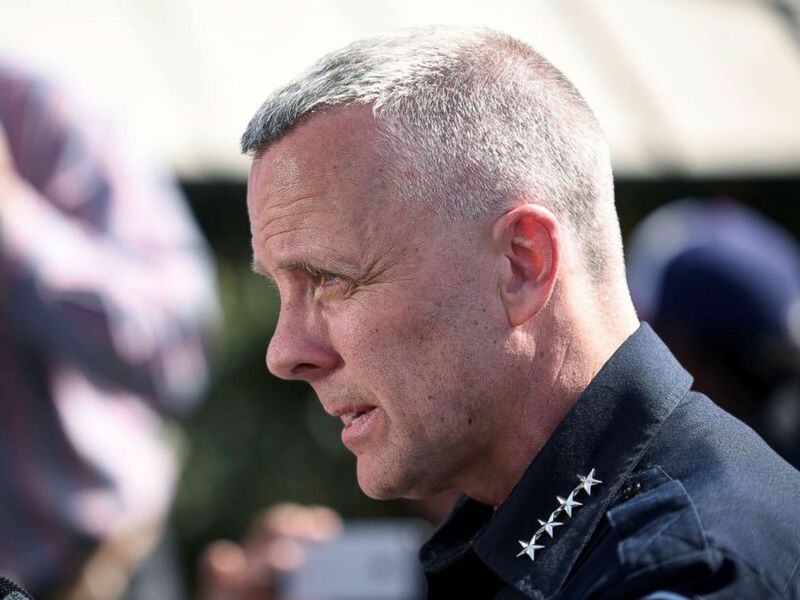 In the wake of a string of deadly bombings that shook Austin, Texas and surrounding areas in recent weeks, the city's police chief called the suspect a "domestic terrorist," even though the incidents have not been formally labeled as such by the feds. Add Austin Explosions as an interest to stay up to date on the latest Austin Explosions news, video, and analysis from ABC News. The declaration by Chief Brian Manley came during a panel discussion this morning hosted by the local NPR station KUT that was focused on the handling of the bombings. "I actually agree now that he was a domestic terrorist for what he did to us," Manley said, according to KUT. "This is a distinction I wanted to make today," Manley said, according to The Austin American-Statesman. During the panel, Manley reportedly said that he hadn't made that declaration earlier because "I was so focused that we put a stop to it" but he felt appropriate categorizing it as domestic terrorism "for what it did to our community," The Statesman reported. The terrorism label is significant because authorities, including Manley, had not used that classification previously. Under U.S. law, "domestic terrorism" is defined by statute and has to be intended to: "intimidate or coerce a civilian population"; or "influence the policy of a government by intimidation or coercion"; or "affect the conduct of a government by mass destruction, assassination, or kidnapping." 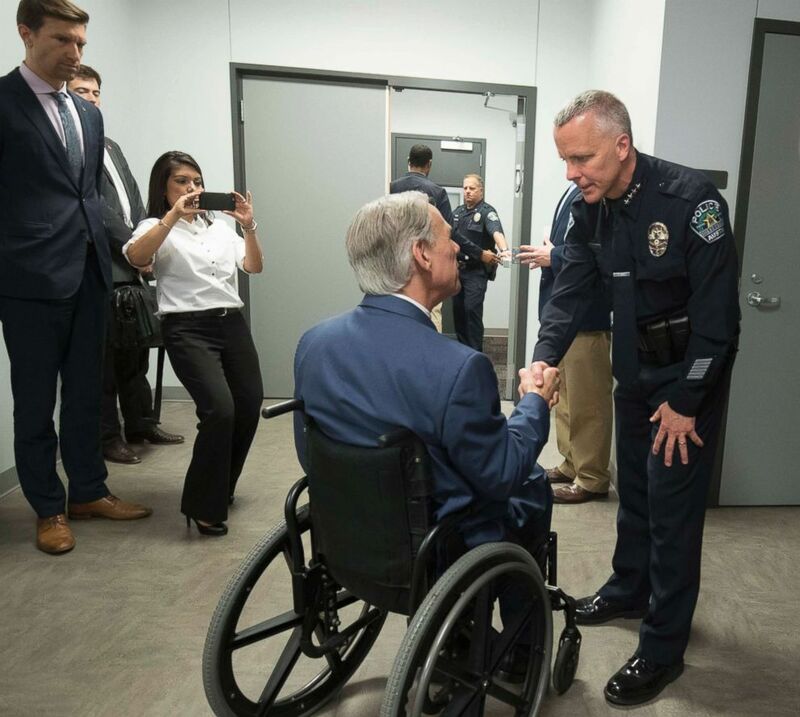 PHOTO:Austin Police Chief Brian Manley, right, shakes the hand of Gov. Greg Abbott of Texas as he leads a congratulatory press conference with the governor and others who assisted in bringing down the serial Austin bomber, March 21, 2018. Doing so would increase the FBI's involvement in the case, but would not change the penalties without a hates crime designation. The confession video found on the phone of the bomber, Mark Anthony Conditt, who was killed in a blast as police closed in on his vehicle, reportedly did not mention specific threats of terrorism. "He does not at all mention anything about terrorism, nor does he mention anything about hate," Manley said on March 21. "But, instead, it is the outcry of a very challenged young man talking about challenges in his personal life that led him to this point," he said.